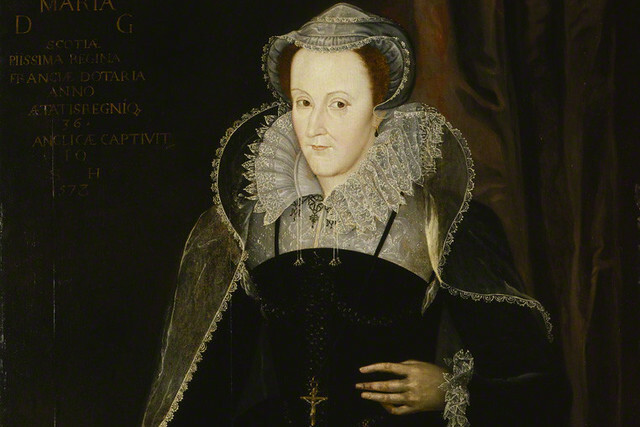 Three husbands, two murders and the Queen who refused to meet her: key landmarks in the 44-year life of the tall, long-fingered, auburn-haired, French-educated, multi-lingual, sweet-spoken, staunchly Catholic and disarmingly attractive Mary Stuart, Queen of Scots. The husbands: each so unsatisfactory that no woman would wish them on her worst enemy. First, for just over two years, the sickly Dauphin (briefly King Francis II), a year her junior. They had grown up together at the court of Henry II of France, Mary’s home after being shipped as a five-year-old to escape in-fighting in Scotland. Learning French courtly graces and state politics, she paid homage to her ancestry by occasionally donning Scots chic: not tartan, a later invention, but the hides of slaughtered deer. Less advisedly, she also declared her entitlement to the English throne. In 1560, Francis II died aged 17 without, in the opinion of some observers, reaching puberty; one insider wrote darkly of ‘undescended testicles’. So Mary returned to Scotland the same year. Five years later, Mary’s second marriage confirmed English fears of her becoming a problematic Catholic force. 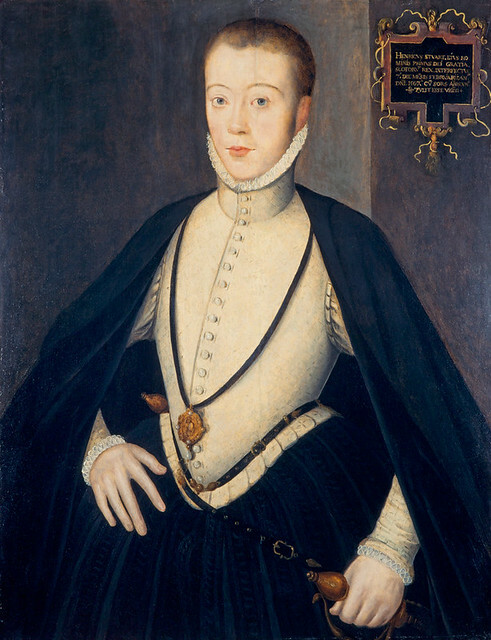 Henry Stuart, Lord Darnley, was Yorkshire-born, Scots Catholic and an alcoholic. Feigning religious zeal, he schemed against Mary while indulging in sexual adventures reported chiefly as unreportable. Third and last, literally a husband to end husbands, came the brutal James Hepburn, Earl of Bothwell, a Protestant, whose alleged disposal of Darnley in 1567 is said to have inspired the nastier bits of Macbeth. And so to murder. In March 1566 assassins stormed Mary’s Holyrood apartments and stabbed her Italian secretary, David Riccio, 56 times by her own account. Mary suspected it was a plot by Darnley to cause the miscarriage of their own child, the future James I of England. For his part, Darnley thought his wife too intimate with Riccio, and suspected the imminent child was not his own. Darnley’s own time was up 11 months later. One night, gunpowder stored under his bedroom exploded. It did not harm him; he was discovered in an adjoining field, intact but strangled. Bothwell was proclaimed as the culprit. No witness dared appear at the trial, so Bothwell was acquitted. Three months on, after being abducted and probably raped by him, Mary married her self-proclaimed protector. She cried for days, humiliated by the dour Protestant marriage rites and her bestial husband. Bothwell’s enemies moved against him. He fled to Norway and died mad in a Danish prison. Mary was interned at Lochleven, where she miscarried twins. Forced to choose between abdication and trial for murder, she renounced the throne. One year on in May 1568, she escaped and made a doomed attempt to regain power before committing a fatal error. Instead of returning to the safety of France, she crossed into England, hoping for royal protection. From her arrival in England to her execution in 1587, Mary remained under house arrest, mostly in the dilapidated castle at Tutbury, Staffordshire. Elizabeth’s council advised the Queen that Mary, a magnet for rebellious Catholics, was ‘too dangerous to let loose’. Numerous plots followed, all devised to format: assassinate Elizabeth, invite Spanish troops, incite an English Catholic rising, enthrone Mary. 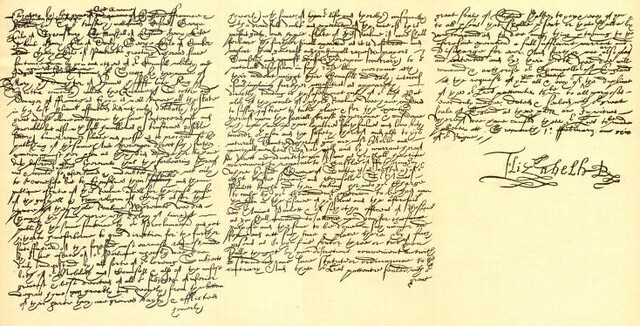 Finally, letters exchanged between Mary and Anthony Babington, a Catholic conspirator, led to her trial at Fotheringhay Castle, Northamptonshire, in October 1586. No proper legal basis existed for an English court to try a foreign monarch and she defended herself with formidable skill. Even after the guilty verdict, Elizabeth waited three months to sign the death warrant – maybe out of respect for law and monarchy, maybe from fear of continental reaction. At her eventual execution, Mary's famous serenity on the scaffold – homaged in the final scene of Donizetti's opera – was grievously tested. Two blows of the axe were needed to reach the ‘one little gristle’ that yet connected head to body. With the third blow went an illusion: her fine hair was revealed to be now a wig. Her lips kept moving for 15 minutes. Mary’s lasting appeal transcends national or religious causes. Rather, she takes her place with Hamlet or Werther as a tragic-romantic icon: a vibrant, sophisticated soul both hungry for experience and weary of it; a wanderer who becomes a prisoner; a victim of states, of ideologies and of life itself. This is an extract from David Roberts's article 'My Name Now Martyr Is', which you can find in full in the programme book for Maria Stuarda. This is available in the theatre at performance times and from the ROH Shop. Maria Stuarda runs 5–18 July 2014. Tickets are still available. The production is a co-production with Polish National Opera, Théâtre des Champs-Elysées, Paris, and Gran Teatre del Liceu, Barcelona, and is given with generous philanthropic support from Lord and Lady Laidlaw, Susan and John Singer and Michael Hartnall.